Continue with the information you have gathered in the previous steps and click here. You will find links to sites that will help you determine a fair price for the automobile. You can also go to your library to look the automobile up in one of the “blue books”. 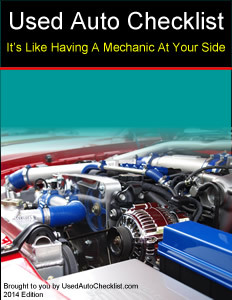 These books are among the most authoritative publications in the used auto industry. A “blue book” lists the average prices of used cars, trucks, vans and SUVs and allows certain dollar amounts for options and gives the depreciation amounts for mileage. You can find these books at banks, credit unions and the public library. You should use on of these sources when you find an automobile and want to know if the sellers price is reasonable. Write down your findings in the space provided in Appendix B in the ebook.